"It's a field that just cannot lose, there's no possible way around it," Dr. Philip Hofmeyer, an Associate Professor of Renewable Energy at SUNY Morrisville said. "We have a finite amount of resources and so going down the field of solar, wind or bio energy... all those are guaranteed jobs." New York State and Erie County are committed to a more sustainable community and future. Governor Andrew Cuomo's Green New Deal is the most ambitious legislation in the nation, pledging $1.5 billion dollars to the creation of clean energy projects. 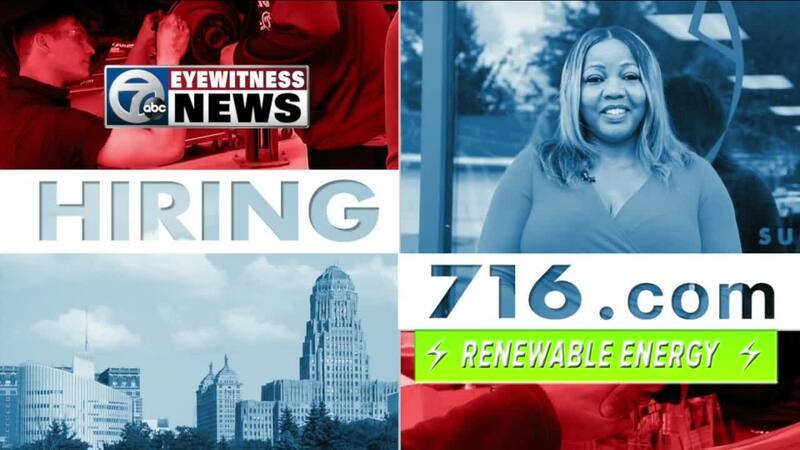 "The more we can do to promote a green economy that allows companies to grow here we will continue to see a strong unemployment rate," Erie County Executive Mark Poloncarz said. There are many different jobs positions to choose from-- office work to engineers, to manufacturers, to installers, to architects-- people at all levels of education and experience can join the green energy movement.